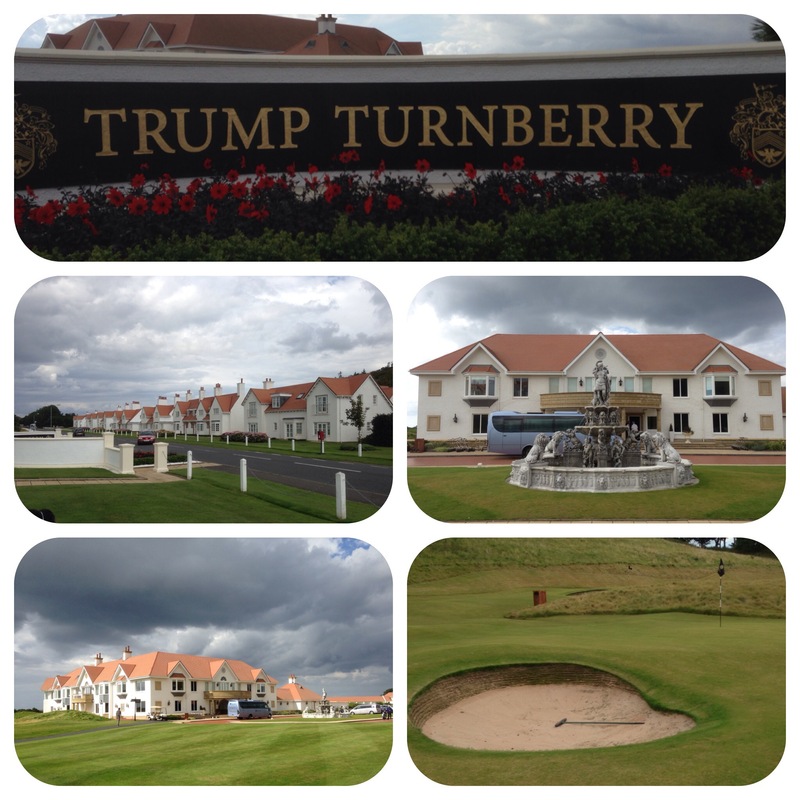 On our drive from Cairnryan to Glasgow, we (being my sister and brother in law, two daughters and I) decided to stop st the breathtaking Trump Turnberry Golf Resort. Now love him or loathe him Donald Trump knows how to build a resort and it opened on the 1st June this year. 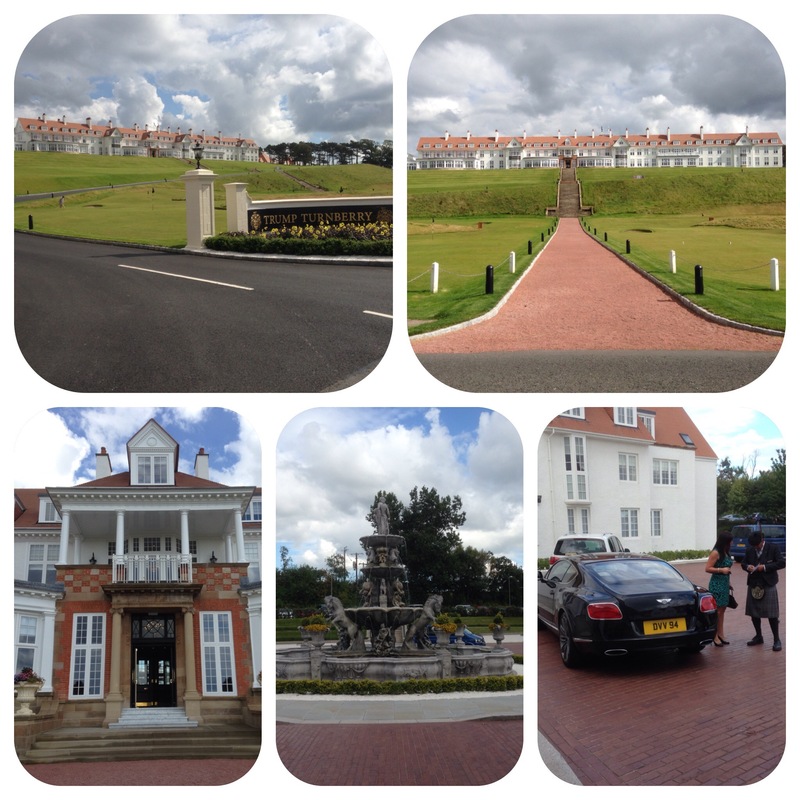 It is situated on the Ayrshire coast, at Turnberry one of the worlds most historical golfing destinations. Martin Ebery designed the Ailsa course and has done wonders with it. We parked at the golf club house and crossed the road before embarking on a climb of over 100 steps to the rear entrance of the resort. This sports some amazing views over the course and Irish Sea. Once inside the foyer one could really feel the opulence and decadence. The staff were on hand to help at every opportunity. The views from The Grand Tea Lounge and Bar were so stunning we decided to have a drink. 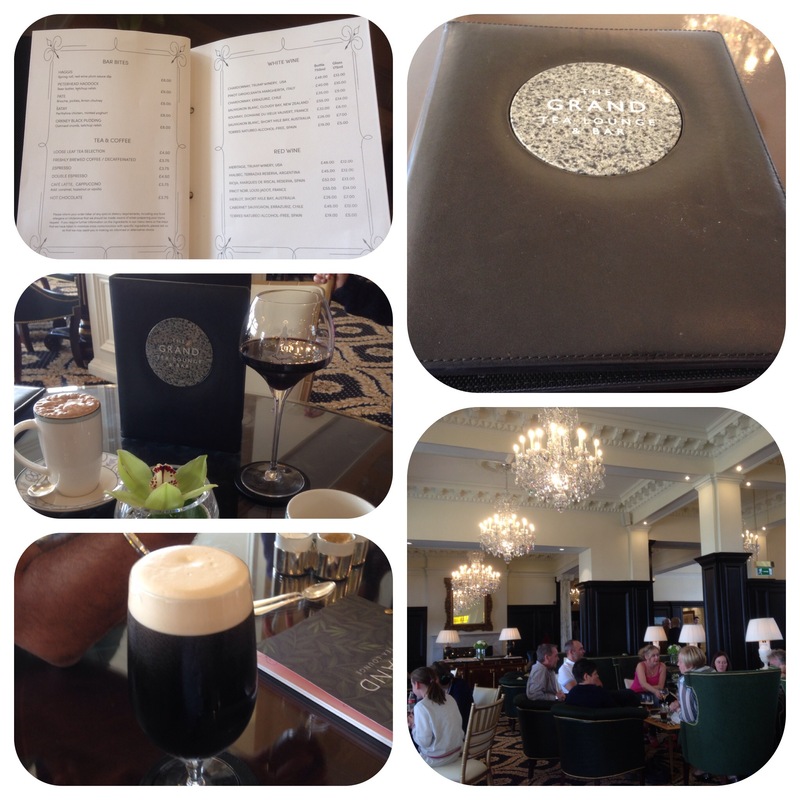 After being seated and handed amazing tea menus (with a marble disc inserted on the front cover!!!) we ordered a glass of Melbec (£12), two pints of Guinness (2x £7) and hot chocolate (£4). Our hostess brought an empty glass before bringing the Melbec bottle to our table and pouring at the table-wow!!! The rest of our drinks duly arrived and we did not want to leave but we had miles more to travel so off we went!! Would really have loved to have dined at the Italian Il Tramonto at 1906 and drank at the 19th hole The Duel In The Sun- next time perhaps. 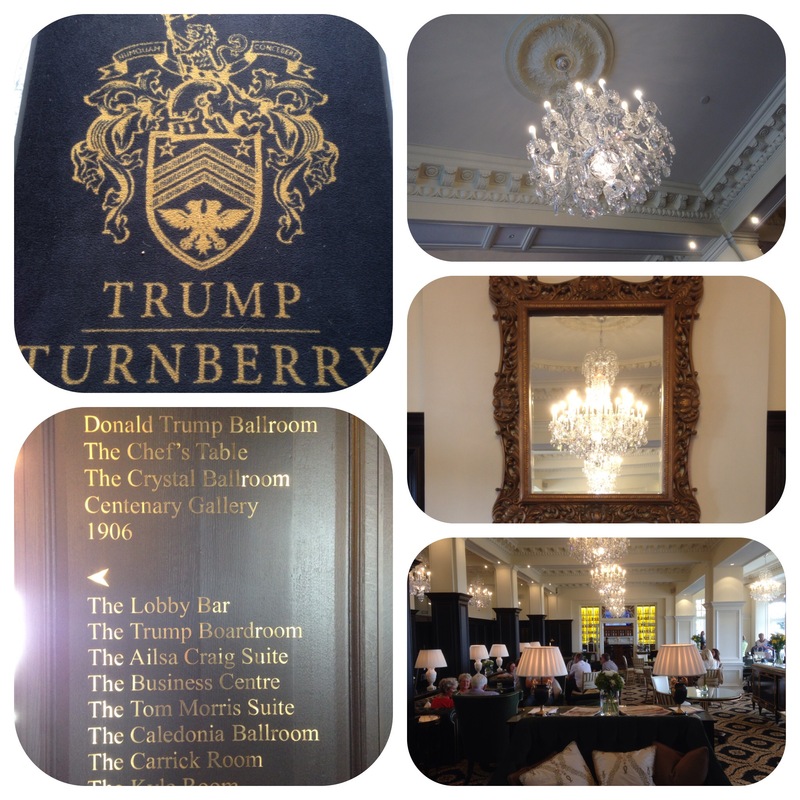 The 500 room Donald Trump Ball Room would have been great to see as would the spa and fitness centre. There is a superb concierge service at the front of the building and there are some spectacular deals to avail on the website. A big thank you to Jessica who spared us some of her valuable time.